Every night before my daughter sleeps, I massage her to help her relax and sleep soundly. It has been our nightly routine since she was a baby. It is our special "bedtime" moment together and also one way to show how much I love and care for her. 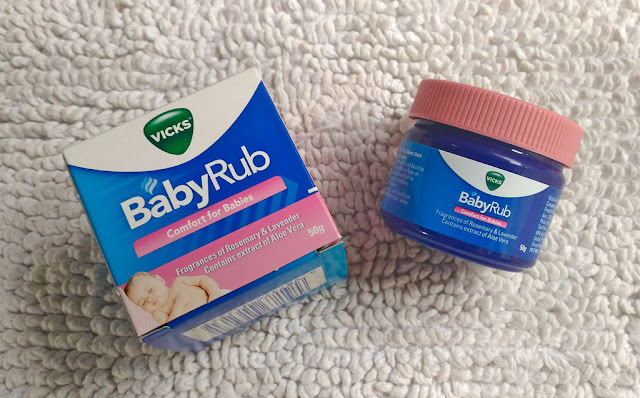 I recently discovered Vicks BabyRub. It contains fragrances of Rosemary, Lavender and Eucalyptus. The pleasant aroma helps soothe my little girl especially when she is experiencing discomfort. It also contains Aloe Vera Extract that helps to gently moisturize her body. Baby Massage is a gentle, rhythmic stroking of your baby's body with your hands. Want to learn how I use Vicks BabyRub on my daughter? Read my full article in Everyday Me here.